Asheville, NC – Much to the excitement of Americana music fans worldwide, the highly anticipated debut CD by The Everyday’s has been released! The Everydays, from Black Mountain, North Carolina, is the collaborative effort between singer-songwriters Tim Marsh and David Zoll. Both musicians also maintain membership in several area acts including Chalwa, Asheville Horns and Bayou Diesel. 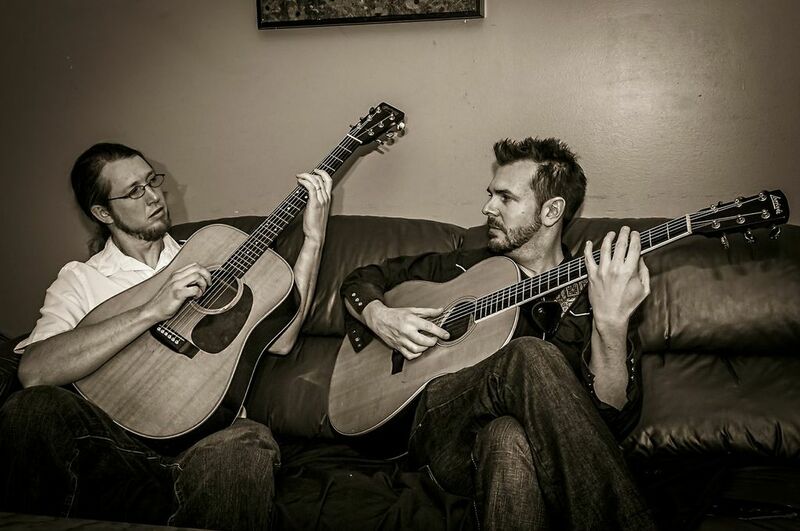 Tim Marsh and David Zoll also perform as solo acts under their respective names. The album was recorded and engineered by J Ferris at Discfunctinonal Family studios in Asheville, NC. The Everydays grew from the common musical interests of Marsh and Zoll who first performed together in an electric band featuring Marsh’s compositions. A love for acoustic roots music and vocal harmony lead the pair to form The Everydays, turning towards a simpler, more focused sound. The duo’s musical influences range from Doc Watson, Clarence White and The Beatles to Simon & Garfunkel, CS&N, and the Grateful Dead.